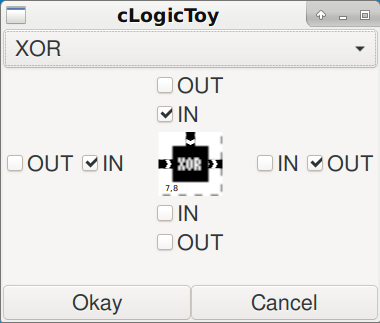 Right clicking on an input cell allows you to toggle an input on and off, which is the primary means of interacting with a completed circuit. Left clicking on a cell brings up the edit dialog, there are a number of rules about the number of inputs and outputs particular tile types need, but as you change the inputs and outputs the dialog tells you what the requirements are for that tile and indeed you can only click the Okay button when you have a valid tile. 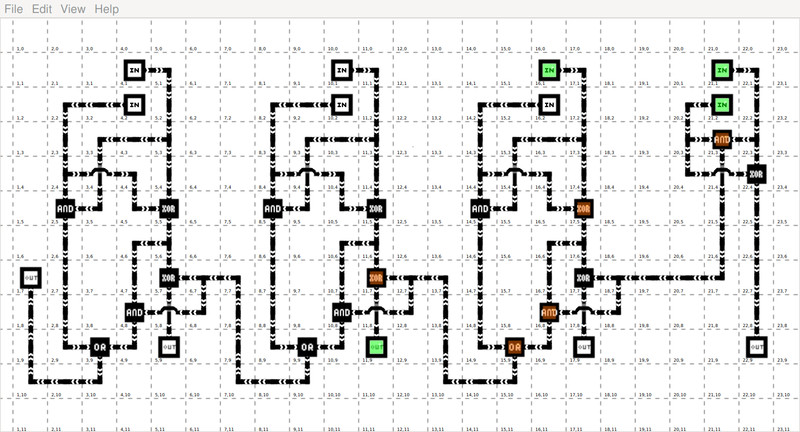 There are a small number of logic types but as you can see by the above screen shot that’s all you need for something as functional as an adder circuit.